Nettihotelli.fi Review 2019: Is Nettihotelli.fi a Good Hosting? Based in Finland, Nettihotelli.fi succeeds in providing a good range of reliable shared hosting packages at a low cost. It also offers top-notch customer support and a 99% uptime guarantee. Nettihotelli.fi is a growing Finnish web hosting company that offers high-quality products at affordable prices. The company was founded in 2000 and now hosts more than 7,000 websites for a customer base of about 7,000. Debt-free and financially stable, Nettihotelli.fi is fully owned by Euronic Oy. All servers are housed in the parent company’s eco-friendly data center in Turku, Finland. 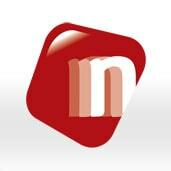 Nettihotelli.fi’s website is available in Finnish only. Nettihotelli.fi offers six shared hosting packages for Windows and Linux, with SSD storage between 300 MB to 10 GB and monthly traffic between 5 GB to 100 GB. Even though you don’t get a ton of storage here, it’s sufficient for personal websites and small businesses. There’s one huge caveat with the plans, however. The two lowest-tier plans don’t include any MySQL databases, which means if you want to install a CMS like WordPress, you won’t be able to unless you go for a higher-tier package. You’ll be able to put up a static website, but that’s it. At least you’ll still have access to the 150+ applications its auto-installer supports, however. Support for Webmail, POP3, IMAP, and SMTP is also available. You can also get SSL certificates, DNS management, SCP and SSH access upon request. I was also told by one of the company’s support agents that Nettihotelli.fi offers VPS hosting services through its sister company Super Cloud, also owned by Euronic Oy. 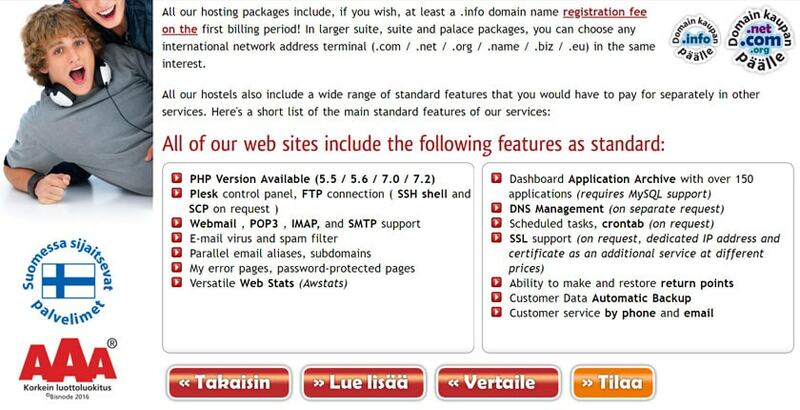 All six web hosting packages are very similar. They mainly differ in storage capacity, add-ons, and few other features such as MySQL databases and PostgreSQL 9.1. The price range is quite affordable in comparison to other hosting providers in the market. Nettihotelli.fi also provides a risk-free 14-day money-back guarantee and throws in a free .info domain with any of its web hosting packages. Nettihotelli.fi gets high marks for customer support, despite not providing live chat. From personal experience, they provide very responsive email support during business hours. You can also contact them by phone or via a support ticket. Moreover, the website is filled with information about the services provided: there are tutorials and instructions for different configurations, along with a decent FAQ section. 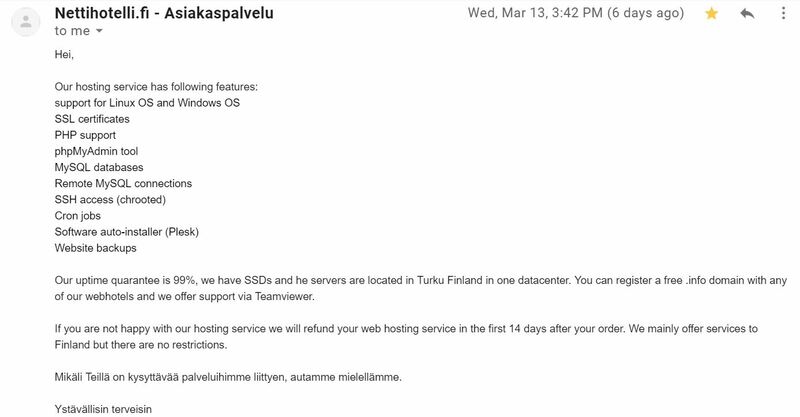 Nettihotelli.fi also provides remote assistance via Teamviewer. Nettihotelli.fi provides feature-rich shared hosting solutions and domain registration services for individuals and small business. However, I wouldn’t recommend it for larger corporations due to its limited web space. Wondering how Nettihotelli.fi stacks up against other Web Hosting companies? Enter any other Web Hosting company and we will give you a side-by-side comparison.